When it comes to resorts that have heliskiing facilities, a paradise for heliskiing & heliboarding is definitely Zermatt. Heliskiing & Heliboarding Zermatt brings you in lone village or town, which is set below the iconic snow-capped Matterhorn peak. With surrounded peaks of more than 4000 m, you will get the top of the world feeling. 150 years ago, this epic place was uncovered to the world. The interesting fact is that Zermatt is still a car free town and the main reason for this is its eco friendly environment. Pollution free air is flowing all over this beautiful ancient place where everyone who comes immediately falls in love with the snow-capped surroundings. 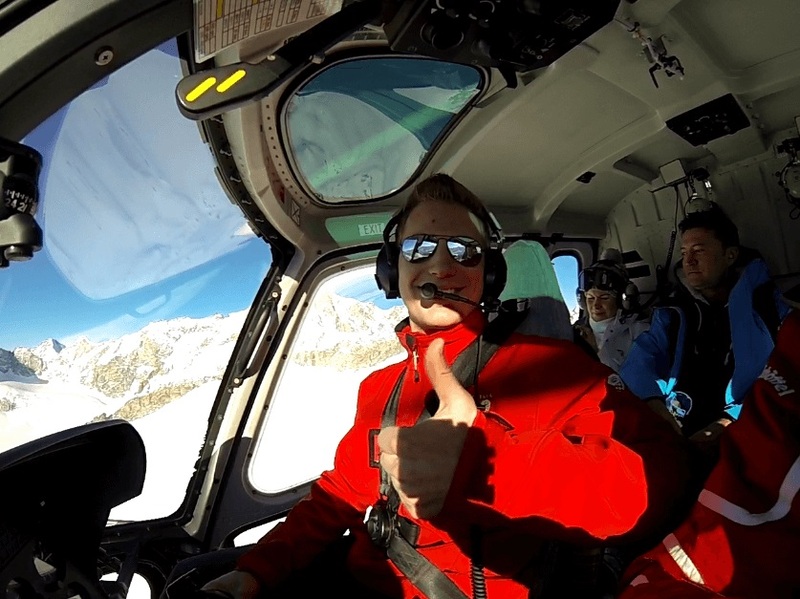 We provide heliskiing & heliboarding in Zermatt and you have many great options. No matter if you are a beginner or an advanced skier/boarder; our experts will be there to assist you in all types of ski levels. We will arrange a helicopter for you from Air Zermatt, a local company which provides helicopters for heliskiing and other adventurous trips. 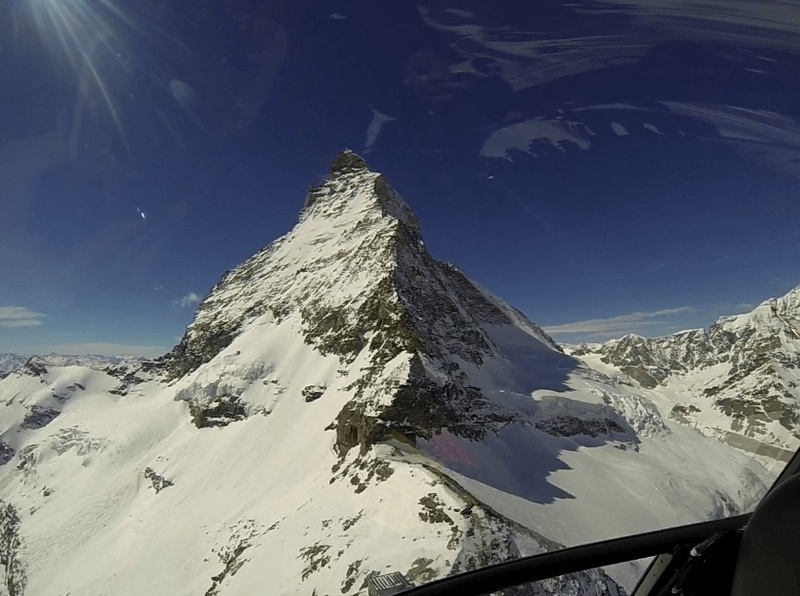 A helicopter provides the best way to experience the real sense of thrill of snowy mountains; we will take you to the iconic peak of the Matterhorn where the sky is the only limit. There are various offers and programs for heliskiing & heliboarding Zermatt and we can arrange customized programs and heli-trips as per your needs. 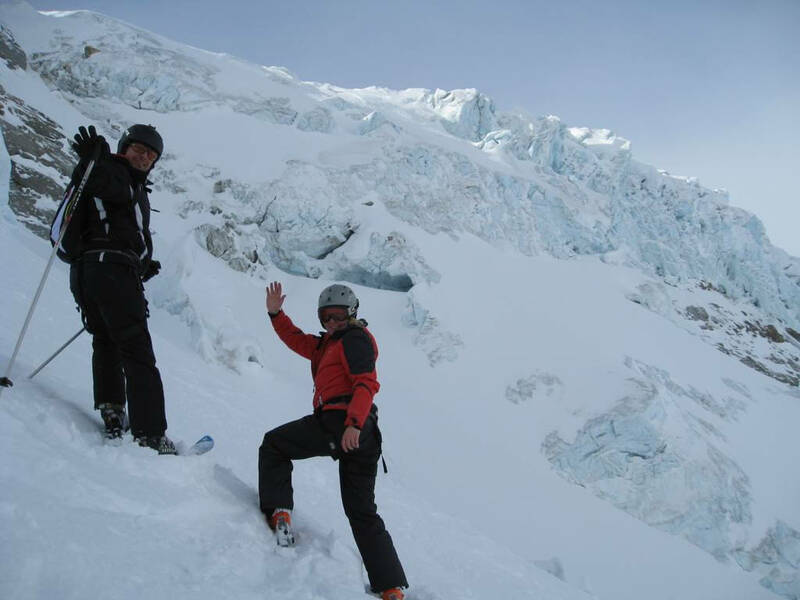 Our extensive experience in the Alps will help you explore the famous, adventurous, and hidden spots of this area. 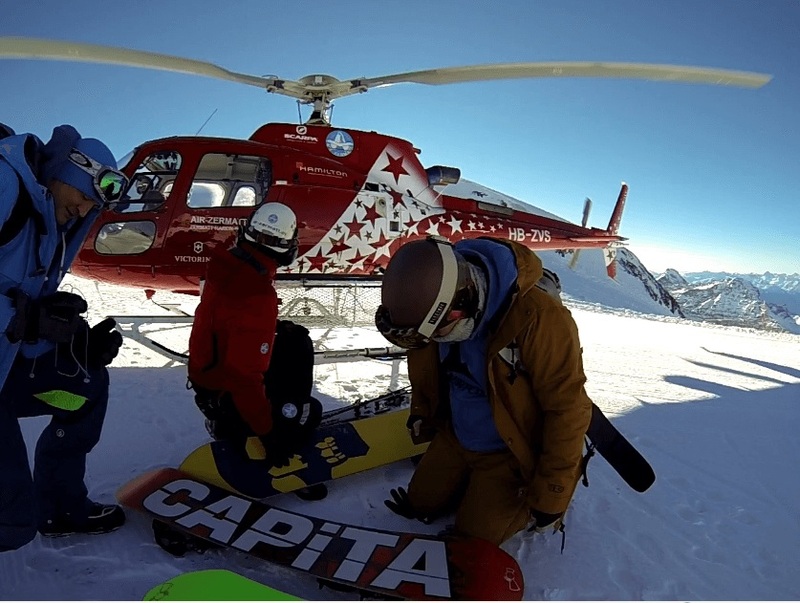 Freeriders are travelled to the great peaks by the Air Zermatt helicopter in no time. You can become a pro in snow powder with the guidance of our experts. Our favourite heliskiing program is Monte Rosa. With the range of 4200 m above the sea level, Monte Rosa is one the highest heliskiing locations in Europe. Fantastic, downhill, and endless, virgin ski pistes, its spectacular glaciers offer the most thrilling heliskiing and heliboarding Zermatt experience. In addition to Monte Rosa, we also cover other heliskiing spots as well, such as Alphubel, located between the valleys of Zermatt and Saas, but it all depends on weather conditions and snow amount to perform successful and safe heliskiing and heliboarding. After all, travellers’ safety is always our main concern. Easy beginning can be also our package; we call it family heliskiing Zermatt because it is a mix of sightseeing around the Matterhorn and skiing on regular blue pistes. It does not as to whether it concerns family heliskiing for beginners or heliskiing for advanced ones, we will ensure that everyone can find their type of heliskiing or heliboarding level. The charm of Zermatt lies in its versatility of freeride spots and various difficulty levels of ski slopes. Zermatt freeriding is similar to real action in moderate motion. A long run on glaciers will give you thrilling experience and unique adventure. We are snow experts and have deep knowledge of how to assist a skier and snowboarder under different circumstances so that they can enjoy the best of heliskiing. Your joy in this huge snow area delights us and gives us motivation to be on the top when it comes to heliskiing and heliboarding Zermatt adventures. Contact us and we will be happy to provide you with our services at your desire. Come here and take the unforgettable memories with you.